News - Solimpeks - We are in ISH 2019! We are in ISH 2019! 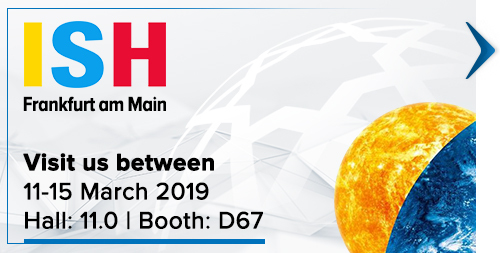 Visit us at ISH Frankfurt between 11-15 March 2019 in Frankfurt am Main, Germany at Hall 11.0 Booth D67. We are waiting you there!